Hey! I love cooking stuff and eating it. But can I photograph it? Well here’s what I found out by surfing around the web and doing my own test. 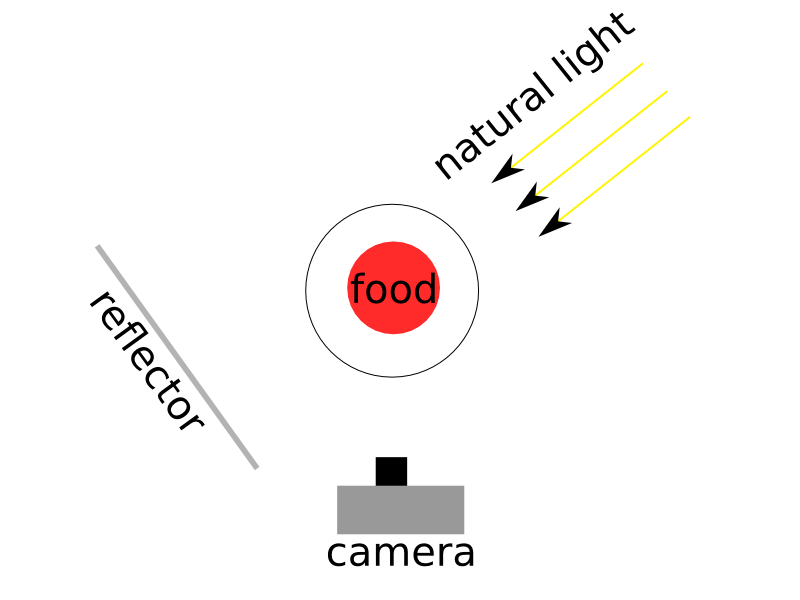 This is the most important part in photographing food. You want to ensure that your subject is well lit. Natural light coming from a window and a reflector (or anything that reflects a decent quantity of light) should do the job. If you have a flash use it to lighten up the room by orienting it to the ceiling. The major source of light should come slightly from the back. The reflector will help you lighten the shadows. Finally don’t forget to use a tripod! It’s important to choose an adequate cloth or other surface (wood, metal, …) under your subject and to place other objects like a glass, napkin around it, just don’t clog up your picture with to much stuff! concentrate on your delicious culinary creation! Make that plate look good! Pay attention to the lines, shapes and colors on your plate. Think about how you’ll take your photo. Will the food follow harmonious lines? Will your composition respect the rule of thirds. Start out with a simple angle. Try to imagine how the food would look like seen from someone sitting at the table. Maybe you’ll want to get a little lower or tilt the camera a bit. 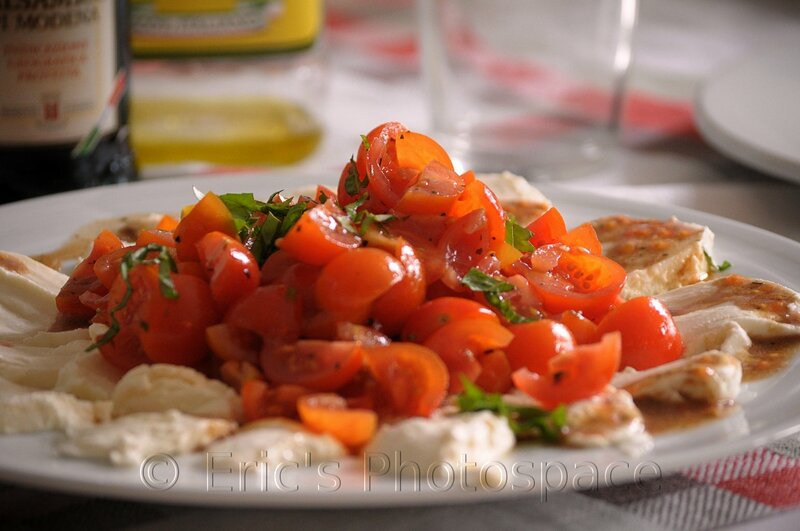 You can really get creative hear and if you want some inspiration I found this site with some examples: 11 Great Camera Angles for Food Photography. Don’t let that food sit around for to long. It’ll lose it’s brightness and your composition will begin to fall apart after a while. Nothing to fancy but hey! we’re beginners aren’t we? I’m a bit disappointed about the focusing. The front part should have been more in focus and a bit more light would have been necessary. This was shot with my 55-200mm because that’s what I’ve got :). The best lens for the task is probably a 50mm prime lens. I hope this post helped you in some way or saved a rainy day inside. Remember these are the basics. Professionals use a lot of costly lighting and equipment and have much more experience so don’t get frustrated.